Is Resurrection a Medical Possibility? Dr. Sam Parnia, M.D. has a very unique medical specialty- resurrection. Dr. Parnia has made recent claims that he can bring patients, who have died hours before, back to life. How is this possible? Can he really bring back the “clinically dead?” What ethical and religious issues does this pose and, more importantly, would you want him to? Parnia’s book, “The Lazarus Effect,” posits that, should someone die of reversible causes, such as a heart attack or infection, that medical interventions can be performed, post mortem, that will reverse the condition and affectively bring that person back to life. In writing this book, Parnia hoped to expand the medical community’s understanding of death and essentially convince other doctors that his methods can save the lives of up to 40,000 Americans a year without a high cost. The procedures that Parnia posits are not acceptable practices in the medical community, but Parnia is trying to change that with his new book. Dr. Sam Parnia works at Stony Brook University Hospital in New York as the head of intensive care and was originally trained in the United Kingdom. 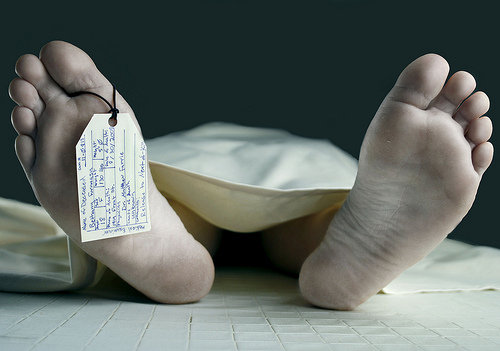 Recently, he began to question the age-old question: what happens when the body dies? What happens to the soul, the memories…the character of that person? Through his research, he has extrapolated that, in some cases where the cause of death can be reversed, the individual can be resurrected by properly managing their death, allowing them to expire, reversing the condition that resulted in their death and then resuscitating them before brain death occurs.